The Undead Reaper Throwing Knife Set presented by Black Legion is lethally cool! 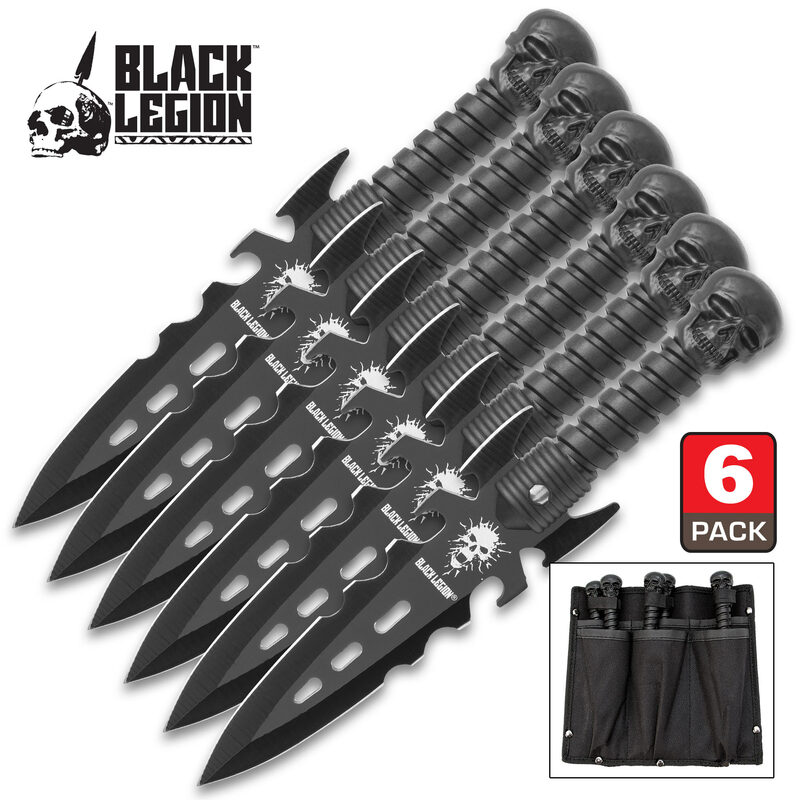 It has six double-edged spear point throwing knives with fantasy-style serrations and an anodized black finish. 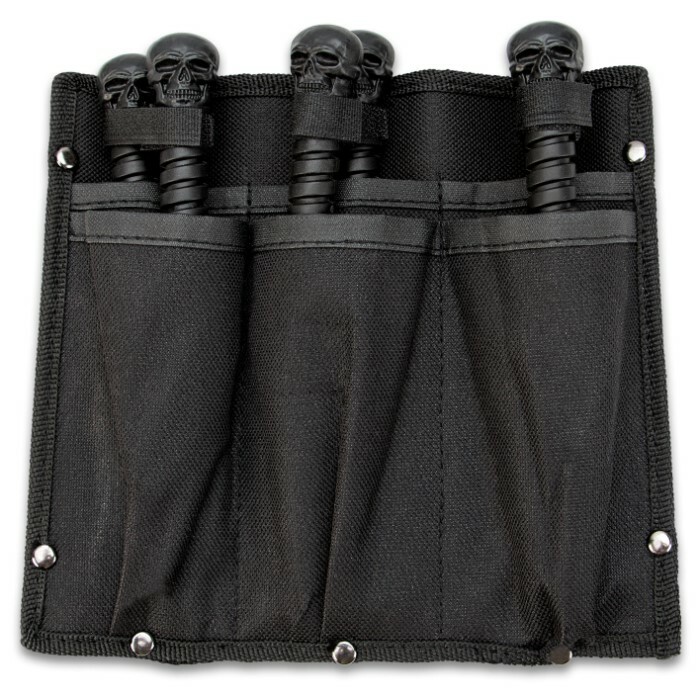 The piercing tips ensure that you will stick it and the rubberized handles provide a slip-free grip that will improve your accuracy. 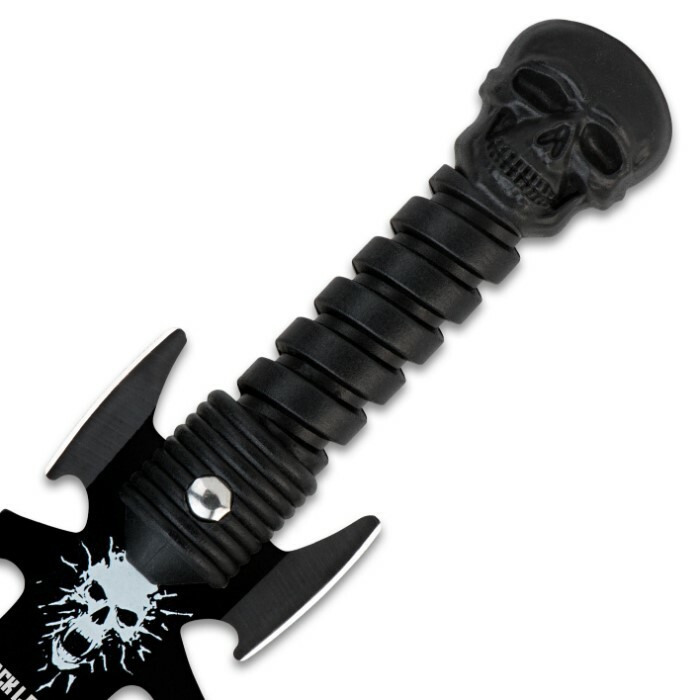 A notable feature is the skull-shaped pommel that each knife has. A nylon pouch completes the package. Just strap it to your arm or leg and take it anywhere!